SUMMARY: How I can tell that I haven't given the dogs what they need yet for the day. 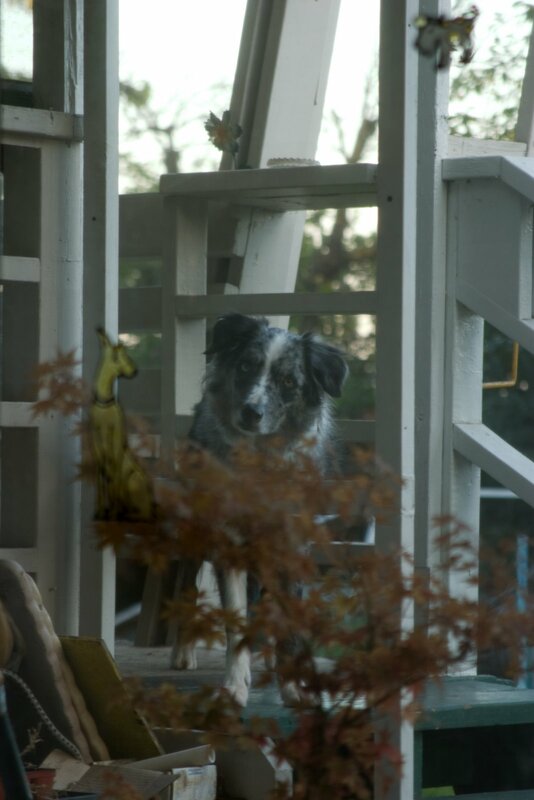 Because this is what I see when I look over from my desk through the sliding door into the back yard. 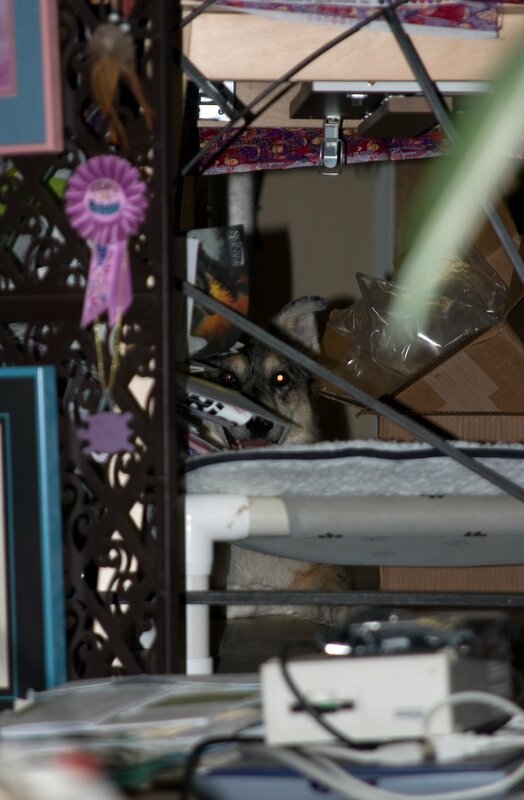 And this is what I see when I look up from my desk through the railing into the kitchen. I'm chuckling because I see similar things when I glance up from my laptop...two little brown eyes attached to a small sheltie who wants to PLAY!! Funny how we see the same things clear across the country. With ice storms and severe cold my pups are going nutso, I see the same eyes looking at me! Thank DOG for indoor agility practice tomorrow.